© Trevisan et al. ; Licensee Bentham Open. In the last few years, we observed many developments about Lyme disease, especially in microbiological, clinical and therapeutical research fields. We better understood the mechanisms through which Borrelia protects itself from human immune system and new species of Borrelia related to Lyme disease have been identified [1Ruzić-Sabljić E, Zore A, Strle F. Characterization of Borrelia burgdorferi sensu lato isolates by pulsed-field gel electrophoresis after MluI restriction of genomic DNA. Res Microbiol 2008; 159(6): 441-8. [http://dx.doi.org/10.1016/j.resmic.2008.05.005] [PMID: 18586084] -10Lindgren E, Jaenson TG. Lyme borreliosis in Europe: influence of climate and climate change, epidemiology, ecology and adaptation measures. WHO Regional Office for Europe 2006.]. Focusing on clinical aspects, new correlations between Lyme and other diseases have been reported, such as Cutaneous Marginal Zone B-cell Lymphomas, recalling Mucosa Associated Lymphoid Tissue Lymphoma caused by Helicobacter pylori [11Gatti A, Stinco G, Trevisini S, et al. Electrochemotherapy as a novel treatment for primary cutaneous marginal zone B-cell lymphomas. Dermatol Ther (Heidelb) 2014; 27(4): 244-7. [http://dx.doi.org/10.1111/dth.12128] [PMID: 24754311] -14di Meo N, Stinco G, Trevisan G. Interstitial granulomatous dermatitis due to borreliosis. Indian J Dermatol Venereol Leprol 2015; 81(3): 327. [http://dx.doi.org/10.4103/0378-6323.154783] [PMID: 25851752] ]. Atrophosclerodermic diseases related to Lyme disease, such as morphea, lichen sclerosus et atrophicus and Parry-Romberg hemiatrophy, still remain debated [15di Meo N, Stinco G, Nan K, et al. Parry-Romberg Syndrome: a case with a possible association with Lyme disease. Acta Deramtovenerologica APA 2015 2015.-29Aberer E, Dekan G, Mayr-Kanhäuser S, Aberer W. Extravascular necrotizing granuoma induced by mineral wool in circumscribed scleroderma lesions. Exogen Dermatol 2002; 1: 253-9. [http://dx.doi.org/10.1159/000068800] ]. Neuroborelliosis is still a frequent challenging manifestation both for diagnosis and for treatment [30Strle F, Ruzić-Sabljić E, Cimperman J, Lotric-Furlan S, Maraspin V. Comparison of findings for patients with Borrelia garinii and Borrelia afzelii isolated from cerebrospinal fluid. Clin Infect Dis 2006; 43(6): 704-10. [http://dx.doi.org/10.1086/506936] [PMID: 16912943] -33Cerar T, Ogrinc K, Strle F, Ruzić-Sabljić E. Humoral immune responses in patients with Lyme neuroborreliosis. Clin Vaccine Immunol 2010; 17(4): 645-50. In some areas of the world, like in Brazil and the Amazon rainforest, Lyme disease can show a peculiar feature associated with autoimmune rections, perhaps due to the transmission of Borrelia by Amblyomma sp. Instead of Ixodes complex ticks (Baggio-Yoshinari Syndrome) [34Yoshinari NH, Mantovani E, Bonoldi VL, Marangoni RG, Gauditano G. [Brazilian lyme-like disease or Baggio-Yoshinari syndrome: exotic and emerging Brazilian tick-borne zoonosis]. Rev Assoc Med Bras 2010; 56(3): 363-9. In the therapeutic management it is important also to document the possible co-infection by Ehrlichia (Anaplasma phagocytophilum in Europe), Rickettsia spp, Bartonella spp and Babesia (microti in USA, divergens and venatorum in Europe), especially when the clinical manifestions are atypical [35Bonin S, Stinco G, Patriarca MM, Trevisini S, di Meo N, Trevisan G. Could co-infection with Anaplasma play a role in Borrelia-associated primary cutaneous marginal zone B-cell lymphomas? Indian J Dermatol Venereol Leprol 2015. [http://dx.doi.org/10.4103/0378-6323.171011] [PMID: 26658390] , 36Moniuszko A, Dunaj J, Swięcicka I, et al. Co-infections with Borrelia species, Anaplasma phagocytophilum and Babesia spp. in patients with tick-borne encephalitis. Eur J Clin Microbiol Infect Dis 2014; 33(10): 1835-41. [http://dx.doi.org/10.1007/s10096-014-2134-7] [PMID: 24848130] ]. Lyme disease, in some cases, combines infectious, immunological and proliferative aspects, becoming an entity difficult to recognize, treat and manage. Treatment of Lyme disease follows the traditional guidelines for early and late Borreliosis, while in the resistant forms the use of some other drugs such as metronidazole or hydroxychloroquine is on discussion [37Bonin S, Stinco G, Patriarca MM, Trevisini S, di Meo N, Trevisan G. Could co-infection with Anaplasma play a role in Borrelia-associated primary cutaneous marginal zone B-cell lymphomas? Indian J Dermatol Venereol Leprol 2015. Fortunately Borrelia infection is mostly recognized early (erythema migrans) and antibiotic treatment with amoxicilline or doxycycline almost always leads to heal but complicated cases are often diagnosed too late. At the beginning of this special issue we report the contributions that deal with Borrelia genotyping (Eva Ružić-Sabljić) and the epidemiology of Lyme disease in domestic and wild animals (Vittorio Sala). After providing an update on microbiology we analyze clinical aspects focusing on atrophosclerodermic manifestations (Elisabeth Aberer) and nervous system involvement in Lyme borreliosis (Vera Maraspin). We report the impact of co-infections (Giuseppe Stinco) and a review of diagnostic tools for Borrelia assessment in humans (Serena Bonin) before concluding with the issue of therapy (Giusto Trevisan). In the first article Eva Ružić-Sabljić and Cerar Tjaša describe Borrelia genotyping. Borrelia burgdorferi sensu lato is the causative agent of Lyme borreliosis while different borrelia species can lead to distinct clinical presentations and some species are associated with defined clinical manifestation like Borrelia afzelii with skin manifestations, Borrelia garinii with central nervous system disorders and Borrelia burgdorferi sensu stricto with Lyme arthritis. Genotyping of Borrelia strains is of great importance for epidemiological, clinical, and evolutionary studies. The authors review the different typing methods that recently have been implemented more or less successfully for diagnostic purposes. In the second contribution Vittorio Sala and Eleonora De Faveri review the main aspects of Lyme Borreliosis epidemiology in animals (domestic and wild) and ticks. In particular, the environmental interference on the interactions between different hosts, including humans as terminal host are focused. The authors analyze the species of ticks and the prevalence of Borrelia species in the diverse continents. The function of the reservoirs animal is also different and depends on the belonging species. As the climatic variations and the changes in the duration of seasons interfere with the biological cycles of the animal species, arthropods and bacteria, a gradual change occurs in the epidemiology of the infection and of the clinical evidence of the disease in different animal species and humans. Finally, the implications of Lyme disease in the field of social health have been considered. Focusing on clinical aspects, in the third article, Elisabeth Aberer and Nora Wutte summarize the literature on scleratrophic skin lesions as a manifestation of a Borrelia infection. An association of morphea, acrodermatitis chronica atrophicans, lichen sclerosus et atrophicus and anetoderma have been observed. Since all these diseases show clinical and histological similarities, it has been hypothesised that they might have a common origin. The laboratory results that point to a borrelial origin of these diseases, however, are contradictory. The response of scleratrophic skin lesions to antibiotic treatment varies and can be seen in patients with or without a proven association to a Borrelia infection. This suggests that scleratrophic diseases might be of heterogeneous origin, but a Borrelia infection could be one cause of these dermatoses. As second contribution on clinical update, Vera Maraspin and Katarina Ogrinc review neurological manifestations in Lyme disease. Lyme neuroborreliosis is the second most frequent manifestation of Lyme borreliosis in Europe, while it comprises the third most common expression of the disease in North America. The authors review the different feature of early Lyme neuroborreliosis, in Europe (with the classical triad of meningitis, radiculoneuritis, cranial neuropathy) and in America (with subacute meningitis with or without cranial neurophaty), and the chronic forms (peripheral neuritis with acrodermatitis chronica atrophicans). In this article, the challenging diagnosis and antibiotic treatment of neuroborreliosis are analyzed. In the fifth contribution, Giuseppe Stinco and Serena Bergamo analyze the impact of co-infections in Lyme disease. In the recent years co-infections emerged as an important issue in Lyme disease spectrum. In this review the association of Borrelia infection and Anaplasma phagocytophilum, Babesia spp , Bartonella spp, Rickettsiae spp and tick-borne encephalitis virus is reported. For each single co-infecting micro-organism, clinical features, diagnostic issues and therapeutical approaches are discussed. They might exacerbate Lyme disease clinical features, they can also mimic Lyme borreliosis sharing common manifestations, and eventually they can change the course of the disease itself. The presence of one or more co-infecting agent during the course of Lyme disease may represent an issue especially in endemic areas for tick-borne diseases and in people occupationally exposed. The sixth chapter is dedicated to diagnostic tools in assessment of Lyme disease described by Serena Bonin. Although the etiological agent has been known since 1980s, diagnosis of Lyme disease is still a controversial topic because of the wide range of clinical manifestations and the limited diagnostic tools available to assess Borrelia in humans. The most used diagnostic tool for Lyme disease is currently serology, but also Polymerase chain reaction (PCR) and other methods are often used to prove Borrelia infection in different patients’ specimens. The present article deals with most of the diagnostic tools used in clinical practice for Lyme disease detection in human samples. Direct and indirect specific methods for Borrelia infection detection is discussed. The author analyse the most recent peer reviewed publications as well as original results and information provided by companies’ web sites. After etiological, epidemiological, clinical and diagnostic issues, the last article is dedicated to the therapy of Lyme disease reviewed by Giusto Trevisan. Borrelia burgdorferi is highly susceptible to antibiotic treatment and the majority of patients profit from this treatment. Antibiotic selection, dose and route of administration, and duration of therapy for Lyme disease depend on the patient’s clinical manifestations and stage of disease, age, pregnancy status, as well as the presence of other concomitant diseases and/or allergies. Despite an appropriate antibiotic therapy, about 10-20% of patients may show persistent or recurrent symptoms ("post-treatment Lyme disease syndrome"). The author discusses on the post-exposure prophylaxis, the current therapeutic approach, the main treatment-related phenomenon, the Jarisch-Herxheimer reaction, and the treatment modalities for special categories of patients. In sum, we hope that the present paper presented in this special issue constitute a useful reference for researchers as well as for daily practice in the domain of Lyme disease. We thank the reviewers, Alexander Kreuter, Snezana Tomanovic, Octavija Rode, Walter Berghoff, Anna Moniuszko, Tjasa Cerar, Klaus Einsendle, for their comments and commendable contributions to this special issue. Ruzić-Sabljić E, Zore A, Strle F. Characterization of Borrelia burgdorferi sensu lato isolates by pulsed-field gel electrophoresis after MluI restriction of genomic DNA. Res Microbiol 2008; 159(6): 441-8. Cerar T, Ruzić-Sabljić E, Glinsek U, Zore A, Strle F. Comparison of PCR methods and culture for the detection of Borrelia spp. in patients with erythema migrans. Clin Microbiol Infect 2008; 14(7): 653-8. Pauluzzi P, Bonin S, Gonzalez Inchaurraga MA, Stanta G, Trevisan G. Detection of spirochaetal DNA simultaneously in skin biopsies, peripheral blood and urine from patients with erythema migrans. Acta Derm Venereol 2004; 84(2): 106-10. Stinco G, Ruscio M, Bergamo S, et al. Clinical features of 705 Borrelia burgdorferi seropositive patients in an endemic area of northern Italy. Scientific World J 2014. 2014: 414505. Ruzić-Sabljić E, Strle F, Cimperman J, Maraspin V, Lotric-Furlan S, Pleterski-Rigler D. Characterisation of Borrelia burgdorferi sensu lato strains isolated from patients with skin manifestations of Lyme borreliosis residing in Slovenia. J Med Microbiol 2000; 49(1): 47-53. Ruzić-Sabljić E, Arnez M, Lotric-Furlan S, Maraspin V, Cimperman J, Strle F. Genotypic and phenotypic characterisation of Borrelia burgdorferi sensu lato strains isolated from human blood. J Med Microbiol 2001; 50(10): 896-901. Moniuszko A, Dunaj J, Czupryna P, Zajkowska J, Pancewicz S. Neoehrlichiosis - a new tick-borne disease - is there a threat in Poland? Przegl Epidemiol 2015; 69(1): 23-26, 131-133. Moniuszko A, Dunaj J, Zajkowska J, et al. Comparison of detection of Borrelia burgdorferi DNA and anti-Borrelia burgdorferi antibodies in patients with erythema migrans in north-eastern Poland. Postepy Dermatol Alergol 2015; 32(1): 11-4. Floris R, Menardi G, Bressan R, et al. Evaluation of a genotyping method based on the ospA gene to detect Borrelia burgdorferi sensu lato in multiple samples of lyme borreliosis patients. N Microbiol 2007; 30(4): 399-410. Lindgren E, Jaenson TG. Lyme borreliosis in Europe: influence of climate and climate change, epidemiology, ecology and adaptation measures. WHO Regional Office for Europe 2006. Gatti A, Stinco G, Trevisini S, et al. Electrochemotherapy as a novel treatment for primary cutaneous marginal zone B-cell lymphomas. Dermatol Ther (Heidelb) 2014; 27(4): 244-7. Trevisan G. Atypical dermatological manifestations of Lyme borreliosis. Acta Dermovenereologica APA 2001; 10: 149-51.
 di Meo N, Quaranta L, Crisman G, Trevisan G. Adamantiades Behçet Disease triggered by a tick bite and or borrelia infection. J Eur Acad Dermatol Venereol 2009; 23(10): 1198-9.
 di Meo N, Stinco G, Trevisan G. Interstitial granulomatous dermatitis due to borreliosis. Indian J Dermatol Venereol Leprol 2015; 81(3): 327.
 di Meo N, Stinco G, Nan K, et al. Parry-Romberg Syndrome: a case with a possible association with Lyme disease. Acta Deramtovenerologica APA 2015 2015. Scarpa C, Trevisan G, Stinco G. Lyme borreliosis. Dermatol Clin 1994; 12(4): 669-85. Aberer E, Neumann R, Stanek G. Is localised scleroderma a Borrelia infection? Lancet 1985; 2(8449): 278. Trevisan G, Rees DH, Stinco G. Borrelia burgdorferi and localized scleroderma. Clin Dermatol 1994; 12(3): 475-9. Stinco G. Lyme disease, atypical skin manifestations. Acta Dermatovenereologica APA 1994; 3: 49-52. Aberer E, Neumann R, Lubec G. Acrodermatitis chronica atrophicans in association with lichen sclerosus et atrophicans: tubulo-interstitial nephritis and urinary excretion of spirochete-like organisms. Acta Derm Venereol 1987; 67(1): 62-5. Ruzić-Sabljić E, Maraspin V, Lotric-Furlan S, et al. Characterization of Borrelia burgdorferi sensu lato strains isolated from human material in Slovenia. Wien Klin Wochenschr 2002; 114(13-14): 544-50. Trevisan G, Stinco G, Nobile C, et al. Detection of Borrelia burgdorferi in skin biopsies from patients with morphea by polymerase chain reaction. J Eur Acad Dermatol Venereol 1996; 6: 15-9. Trevisan G, Padovan C, Scaini MT, Cinco M, Floris R, Bonin S. Anetoderma associated with lyme disease: a case report. Acta Derm Venereol 2008; 88(5): 536-8. Trevisan G, Menni S, Stinco G, et al. Lichen slerosus et atrophicus and Borrelia burgdorferi infection. Eur J Pediat Dermatol 1994; 4: 159-62. Stinco G, Ruscio M, Patrone P. Pick-Herxheimer’s acrodermatitis chronica atrophicans in an endemic area of Northern Italy. Int J Dermatol 2006; 45(12): 1479-80. 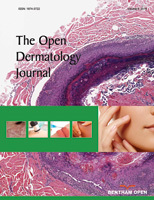 Stinco G, Trevisan G, Martina Patriarca M, Ruscio M, Di Meo N, Patrone P. Acrodermatitis chronica atrophicans of the face: a case report and a brief review of the literature. Acta Dermatovenerol Croat 2014; 22(3): 205-8. Gubertini N, Bonin S, Trevisan G. Lichen sclerosus et atrophicans, scleroderma en coup de sabre and Lyme borreliosis. Dermatol Rep 2011; 3(2): e27. Eisendle K, Zelger B. The expanding spectrum of cutaneous borreliosis. G Ital Dermatol Venereol 2009; 144(2): 157-71. Aberer E, Dekan G, Mayr-Kanhäuser S, Aberer W. Extravascular necrotizing granuoma induced by mineral wool in circumscribed scleroderma lesions. Exogen Dermatol 2002; 1: 253-9. Strle F, Ruzić-Sabljić E, Cimperman J, Lotric-Furlan S, Maraspin V. Comparison of findings for patients with Borrelia garinii and Borrelia afzelii isolated from cerebrospinal fluid. Clin Infect Dis 2006; 43(6): 704-10. Ruzić-Sabljić E, Lotric-Furlan S, Maraspin V, Cimperman J, Pleterski-Rigler D, Strle F. Analysis of Borrelia burgdorferi sensu lato isolated from cerebrospinal fluid. APMIS 2001; 109(10): 707-13. Ogrinc K, Lotrič-Furlan S, Maraspin V, et al. Suspected early Lyme neuroborreliosis in patients with erythema migrans. Clin Infect Dis 2013; 57(4): 501-9. Cerar T, Ogrinc K, Strle F, Ruzić-Sabljić E. Humoral immune responses in patients with Lyme neuroborreliosis. Clin Vaccine Immunol 2010; 17(4): 645-50. Yoshinari NH, Mantovani E, Bonoldi VL, Marangoni RG, Gauditano G. [Brazilian lyme-like disease or Baggio-Yoshinari syndrome: exotic and emerging Brazilian tick-borne zoonosis]. Rev Assoc Med Bras 2010; 56(3): 363-9. Bonin S, Stinco G, Patriarca MM, Trevisini S, di Meo N, Trevisan G. Could co-infection with Anaplasma play a role in Borrelia-associated primary cutaneous marginal zone B-cell lymphomas? Indian J Dermatol Venereol Leprol 2015. Moniuszko A, Dunaj J, Swięcicka I, et al. Co-infections with Borrelia species, Anaplasma phagocytophilum and Babesia spp. in patients with tick-borne encephalitis. Eur J Clin Microbiol Infect Dis 2014; 33(10): 1835-41. Deutsche Borreliose-Gesellschaft v. Diagnosis and Treatment of Lyme borreliosis- Guidelines. Available from: http://www.borreliose- gesellschaft.de/Texte/guidelines.pdf [Accessed 10 Feb 2015].